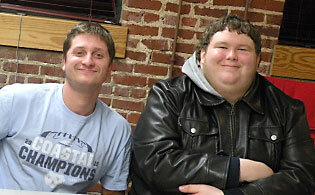 IGNITE is a unique “peer-to-peer” community center for young adults with high-functioning autism or Asperger’s Syndrome transitioning into adulthood. IGNITE offers activities and educational groups that foster independence and social interaction. Members work toward financial, educational, and employment success. 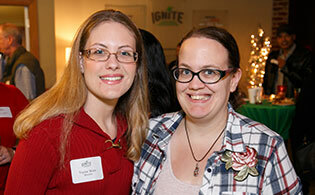 IGNITE is a place where members come together to share ideas, learn practical skills, build friendships, and feel comfortable being themselves. Young adults with high-functioning autism or Asperger’s Syndrome who have recently graduated from high school with their diploma and are looking for ways to become involved in the community and increase their independence are invited to apply for free membership to our Davidson program. Likely candidates will have a desire to participate, the ability to work in a group, and beginning independence skills. Download our application packet for more details. In the summer, IGNITE extends a temporary summer membership to rising high school seniors for our JUMP START summer program. The 2019 summer dates are June 10 – August 23. Download our application packet for more details. Young adults with high-functioning autism or Asperger’s Syndrome who have recently graduated from high school with their diploma and are looking for ways to become involved in the community and increase their independence are invited to apply for membership to our Raleigh program. Likely candidates will have a desire to participate, the ability to work in a group, and beginning independence skills. 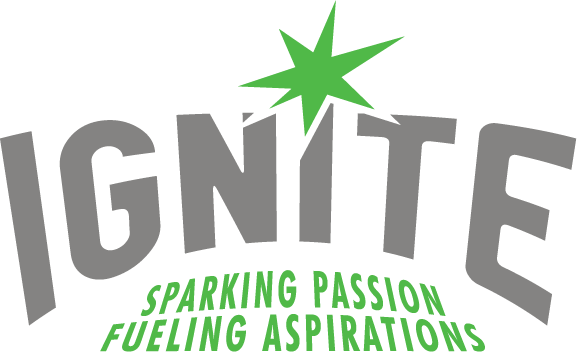 Read our sheet “Is IGNITE right for you?” for more details. 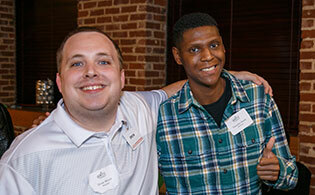 IGNITE Raleigh offers two six-month sessions for young adults. Sessions include 20 hours per week of programming (M-F, 3:30-8:00 p.m.) as well as two community weekend activities each month. A summer session for high school students will also be available beginning in 2019. Fees are per session and payment plans are available. Click here to apply. IGNITE is operated by the Autism Society of North Carolina with founding support from the Evernham Family-Racing for a Reason Foundation, a 501(c)(3) organization started by legendary NASCAR crew chief and Hall of Fame inductee Ray Evernham.